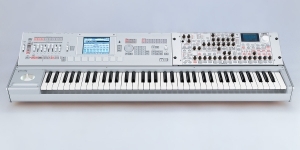 The 24-voice analogue synthesizer RADIAS is based on the advanced MMT synthesis technology. 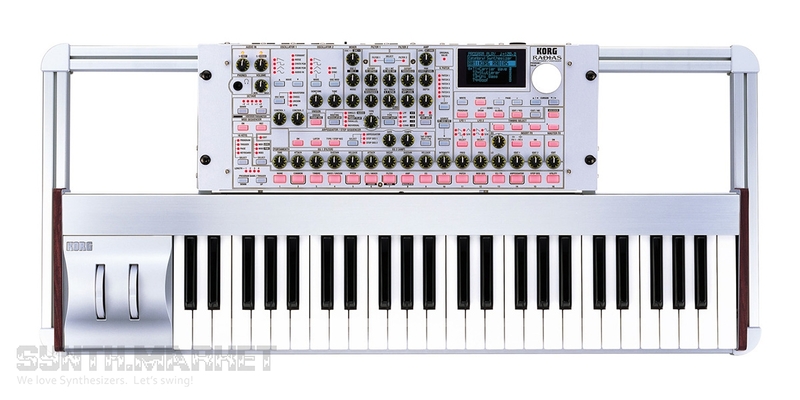 For each timbre of RADIAS synthesizer there are two oscillators that generate analog and formant waveforms as well as noise, ring modulation, various PCM waveforms and allow synchronization. 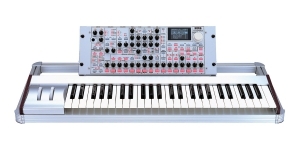 The uniqueness of RADIAS synthesizer is in the fact that even with one oscillator it is possible to create complex sounds using such tools as powerful Unison mode, cross modulation, pulse width modulation, variable phase modulation (VPM). 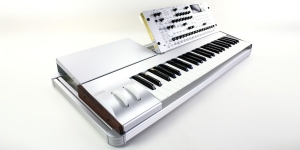 RADIAS synthesizer is a fully integrated device: it can be used both independently and together with a unique keyboard. RADIAS comprises two filters that can be used in series or in parallel providing greater flexibility. 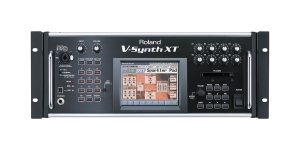 The application of the two filters opens up fantastic possibilities for the synthesis of a wide range of sounds, which is impossible to achieve with only one filter. 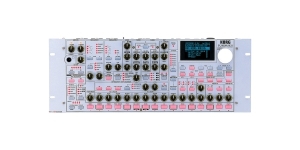 To dynamically change the pitch, gain level, filter cutoff, and other parameters in RADIAS synthesizer, there are three envelope generators. 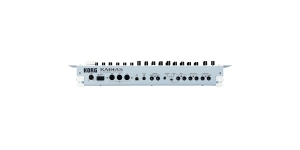 Five standard curves of attack and release were added to the standard 4-phase structure of the ADSR, so that the contours of the envelope generator become more distinct and precise. 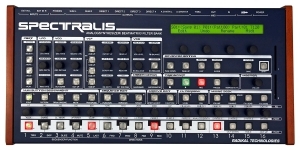 RADIAS features two LFOs with six waveforms, including popular in many synthesizers "Sample & Hold". Each of the waveforms can be processed by the Shape controller, which clears the way to creating very complex types of modulation and increases the flexibility of the LFO section in general. 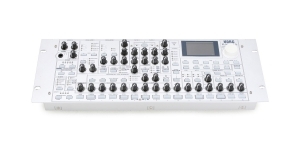 Drive function will add that warmth intrinsic to analog synthesizers. This distortion effect can form new overtones - as a result, already familiar presets can sound completely different, with new nuances. 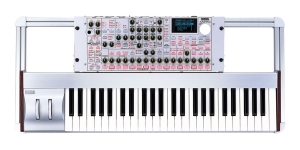 RADIAS synthesizer has eleven types of signal shaping. 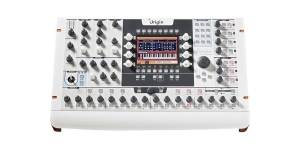 Among these schemes there’s Drive/Waveshaping, which can be set to different positions in the signal chain. 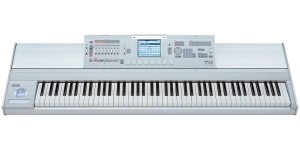 Emulation of the sound character of the electromagnetic sensor is also available. The Punch Level setting adds dynamics to the sound emphasizing the attack stage. 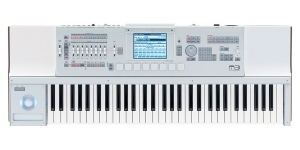 The use of such circuits in the signal processing chain influences the sound incredibly. 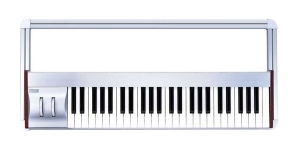 RADIAS is an innovative instrument that can be successfully used by stage musicians, arrangers and sound producers. 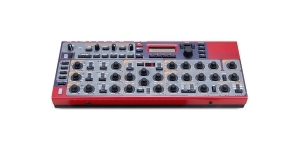 Sound Module/ Tone Generator, Synthesizer, Analog Modeling (AM), Voices: 24, Multi Timbral Capacity: 16 part(s), Production start: 2005, Production ended: Yes. 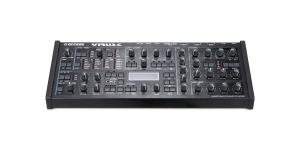 Sound Module/ Tone Generator, Virtual Analog (VA), Voices: 24, Multi Timbral Capacity: 4 part(s), Oscillators per voice: 2, Production start: 2003, Production end: 2008, Production ended: Yes. 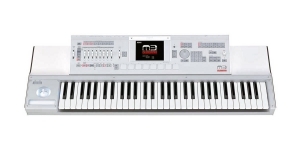 Synthesizer, Sound Module/ Tone Generator, Analog Modeling (AM), Voices: 32, Multi Timbral Capacity: 16 part(s), Sub-Oscillators per voice: 1, Oscillators per voice: 3, Production start: 2002, Production ended: Yes. Analog generator waveform is far from being perfect – it’s unstable and suffers from inevitable voltage-brought deformation. Many of the analog filters are unsteady – you might hear some noises, phase shift or self-oscillation. But these very drawbacks make the signal so brisk, lively – well, actually, alive indeed. 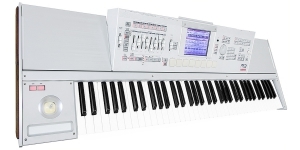 Digital developments helped to tame analog sound, cut it into samples, increase polyphony, give you a synthesizer equipped with the functions which were simply unobtainable in analog instruments. 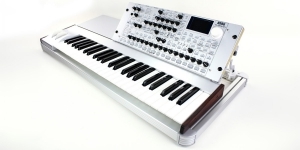 In 1990s instrument manufacturing companies got highly interested in analog modeling technologies development – they were eager to re-create those smallest details of electric musical instrument circuit behavior.